A British peer has accused UK-based law firm Hogan Lovells of helping to cover up corruption in South Africa. 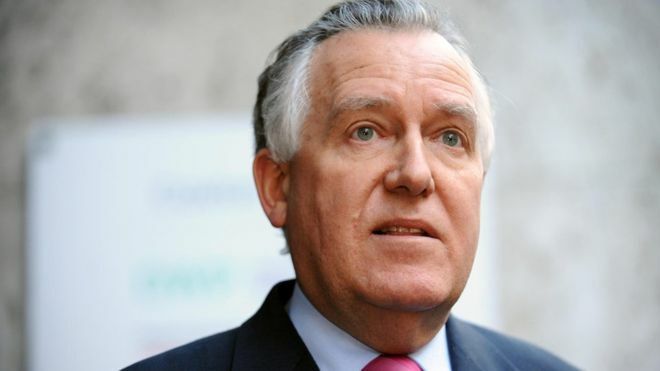 The firm had carried out a "fatally flawed whitewash" after being hired to investigate alleged corruption at South Africa's tax-collection agency, Lord Hain said in the House of Lords. Hogan Lovells strongly denied the allegation. It is the latest UK firm to become embroiled in controversy in South Africa. PR agency Bell Pottinger collapsed into bankruptcy last year after it was accused of running a "racially divisive" campaign for South Africa's controversial Gupta family. Hogan Lovells investigated allegations that the deputy head of the South African Revenue Service (SARS), Jonas Makwakwa, had embezzled about $137,000 (£100,000). Mr Makwakwa has always denied any wrongdoing. The law firm found Mr Makwakwa innocent, despite "reams of evidence to the contrary", said Lord Hain, a former anti-apartheid activist. The firm's report was a "fatally flawed whitewash" which allowed "corrupt" officials to get away with "looting... and robbing taxpayers", he added in comments in the House of Lords on Monday. Lord Hain has asked the Solicitors Regulation Authority (SRA) to take disciplinary measures against Hogan Lovells. Hogan Lovells said the allegations were unfounded, ill-informed, and "reflect a lack of understanding of the work we were asked to carry out for the South African Revenue Service". "We have a fundamental duty to uphold the rule of law with integrity and professionalism, and have been strong advocates of that in South Africa," it said in a statement.